The Puerto Rican capital has a lot to offer. Since it's the oldest city under US rule, you can get your historical and cultural fix, all while enjoying the natural benefits of its Caribbean location. What shouldn't you miss on a trip to San Juan? This UNESCO-listed fort is really impressive. Explore its 16th-century latrines, enjoy the views out onto the Atlantic, and learn how it has been used for military purposes. The welcome drink isn't the only delight on this tour around the original Bacardi distillery. Discover some history, learn a little mixology, and take home some great souvenirs! 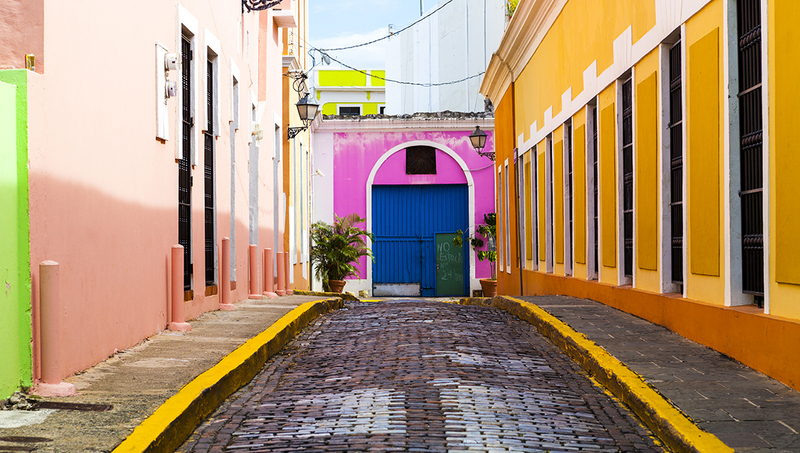 You may need to pinch yourself as you wander the streets of San Juan's old town, reminiscent of France or Spain. Visit the Paseo de la Princesa for that maximum European flavor. 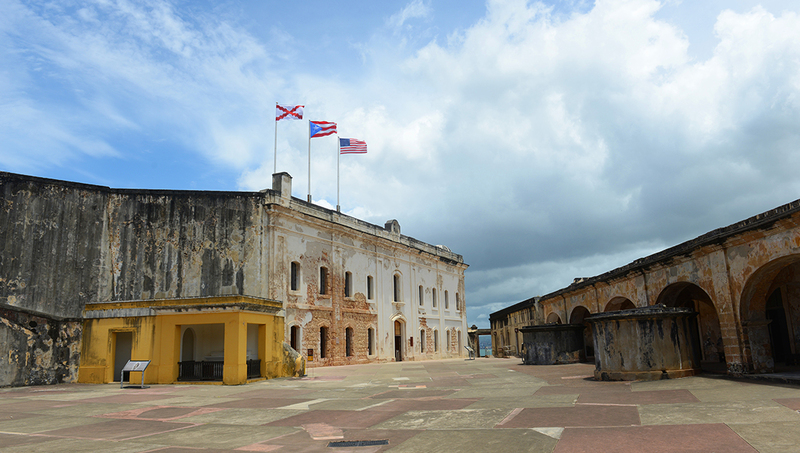 Constructed by the Spanish, this fort has been protecting San Juan for over 300 years. Go down into tunnels and take in the views at sunset. 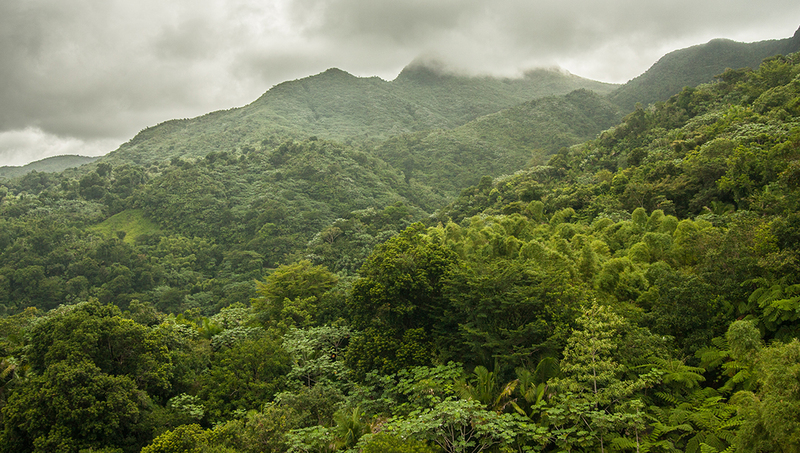 A reasonable drive away from the city, El Yunque is your chance to traverse a real rainforest. Go on a hike, hire a car, and experience nature like you've always wanted to. These caves contain petroglyphs carved by the indigenous Taino people, dating way back before Columbian times. An experienced guide will tell you about the context of the carvings. 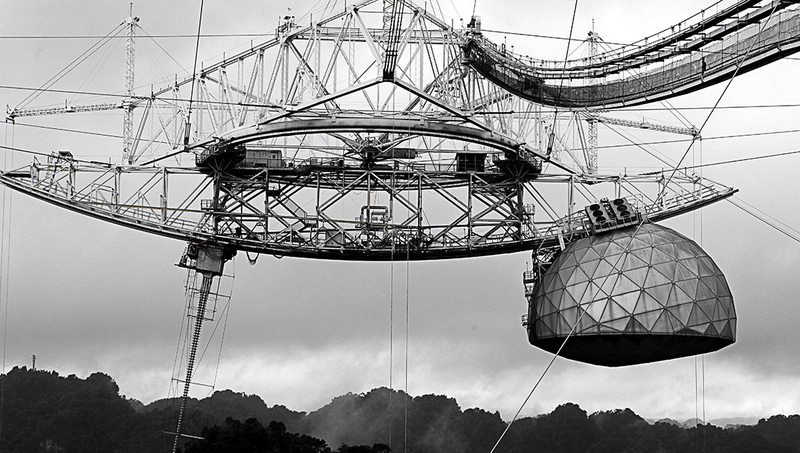 This giant radio telescope is property of the National Science Foundation and tracks unidentified objects in space. If you want to believe, this is definitely worth a visit! Puerto Rico is beautiful at all times of the year, but be aware that summer can be wet and hurricane season ranges from June to November. About a week should suffice for all the main points of interest, but if you're particularly interested in the region, you could stay a little longer and combine it with a visit to the Lesser Antilles - there's British and French colonial heritage there. Do I need a passport to visit Puerto Rico? Since it is a US unincorporated territory, US citizens do not need a passport to travel there - other ID used for domestic flights is enough. However, if you are a citizen of another nation, you should check the individual entry and visa requirements. Visit between mid-April and June to avoid the winter rush, and the oncoming hurricane season. 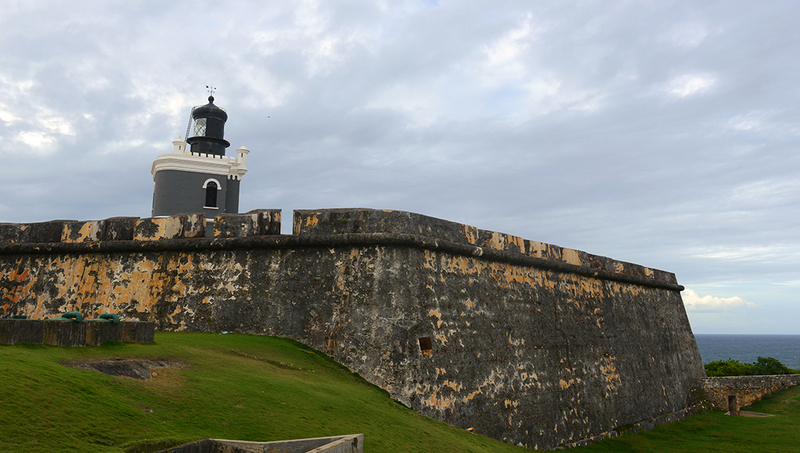 Want to discover all there is to do in San Juan? Click here for a full list. Professional and organized company-great experience! I wasn't sure about kayaking in the dark, but must say I felt very informed and prepared once we hit the water. Be sure you go on a dark night, no full moon, as you will be able to see the glowing plankton much better with each stroke of your paddle. Lagoon does not 'glow' the plankton light up in defense as the water around them is moved. Enjoyed the talk at the lagoon also, very educational. Highly recommend this company. This was a great trip. I plan on taking it again! Great staff! They kept the vibes completely positive despite being an overcast day. A fantastic way to spend a beautiful Saturday! The captain and crew were great! The trip included delicious drinks and food. The Pina coladas were my favorite. We were taken to Tamarindo beach to snorkel; which was beautiful. It had coral and fish. Then we went to Flamenco beach, swam to shore, and got to see some abandoned tanks. The water was crystal clear and the sand was soft as flour. I highly recommend this tour to any one who loves the beach, relaxing, snorkeling, and just having a good time. Had the best time!Captain William and staff were excellent! Greatest bang for your buck! Awesome boat, Captain William was awesome, and his staff were helpful, funny, accommodating to everyone's needs and made sure everyone stayed safe while having a good time. We couldn't have asked for a better time! We will return! A wonderful experience! The crew of Eco Isleño was excelent, very helpfull. The food and drinks were excelent. Would recommend.